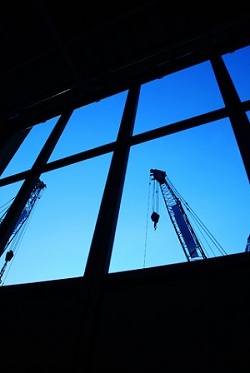 Security and materials safety issues may become an important problem at a construction site. We dream of our own house and work hard to afford it, so when we are finally ready to start building we do not want to put anything at risk. Be it the workers’ life and health safety or our money. Without proper control building can take a long time and require a much larger investment than originally anticipated. Given the lack of opportunities for personal control because of the tight schedule of most modern people, the best solution will be to organize VMS at a construction site. Costly at first glance, the installation of video monitoring system at a construction site does not necessarily have to be so, if you go a little bit deeper and try to understand the subject. Using Xeoma video surveillance software, you will be able to install VMS at a construction site easily, and most importantly, without any extra costs and in a short time. As a result, it will save you much more money and significantly reduce the time of construction. Exclusion of any illegal actions on the part of a construction crew itself that, statistically, is one of the most popular cases. It may seem, on the face of it that VMS installation at a construction site is quite tricky and require some special skills. Probably most people will opt for turning to a professional security agency. Nevertheless, we recommend that you carefully consider the choice of software. It is important that you can easily understand the software yourself, to be able to manage the settings, to connect to the system remotely, to browse the archive and so on. It is far better to keep everything under control than to listen to various excuses from the building crew and constantly calculate expenses for works that have never been conducted, isn’t it? Not to mention a common unfair attitude of the building crews that may lead to the serious problems in the future. In this sense, Xeoma is definitely one of the best solutions. Its interface makes it easy to configure and adjust VMS of any complexity. User-friendly and intuitive interface turns the whole process of work into a pleasant game.